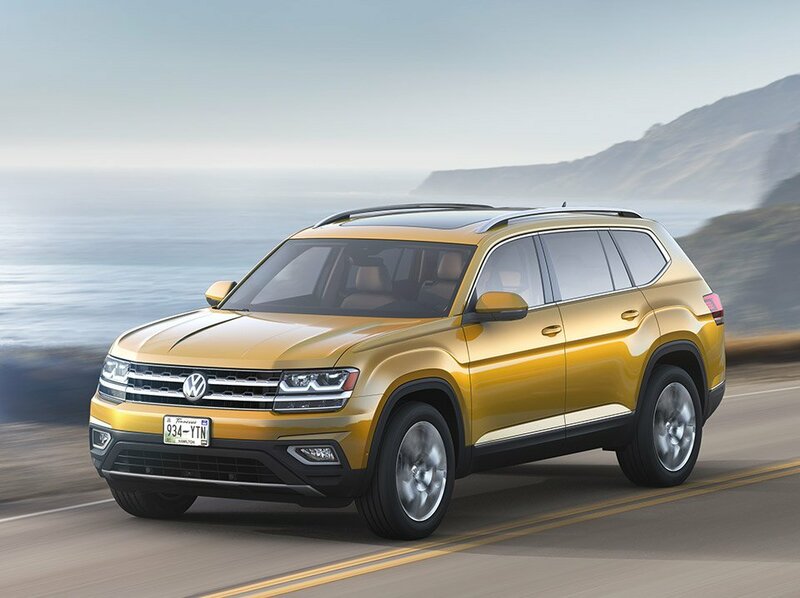 Volkswagen has gone official with the largest vehicle it has ever assembled in the US. 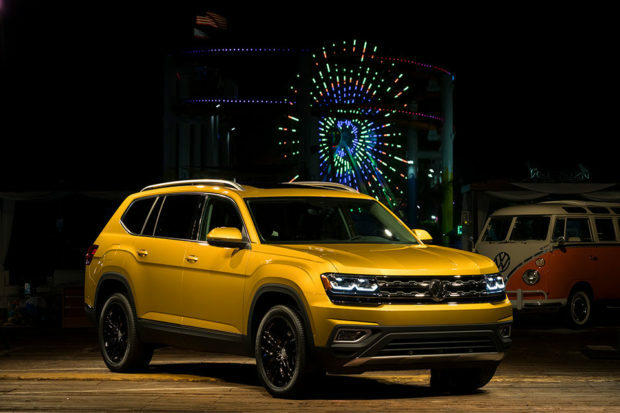 The new ride is a full-size SUV called the Atlas, due for the 2018 model year. Measuring in at 198.3″ long, 77.9″ wide, and 69.6″ high, VW says it has sufficient space for 7 adult passengers and their luggage. At launch, the Atlas will offer a pair of engine options including a 4-cylinder TSI turbo and a VR6 engine, both mated with an 8-speed auto transmission. 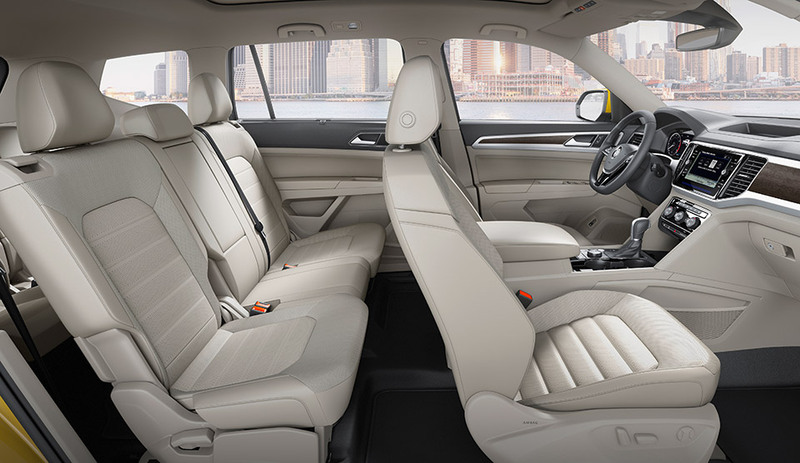 The turbo-4 engine will make 238 hp and the 3.6L VR6 makes 280 hp. Atlas can be had with FWD or with 4motion AWD on VR6 models. 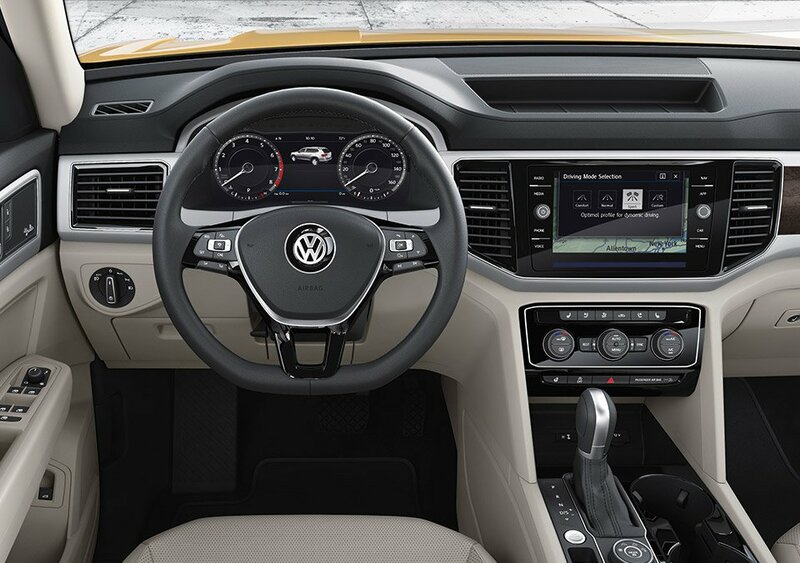 Safety features like Adaptive Cruise Control (ACC); Forward Collision Warning and Autonomous Emergency Braking (Front Assist); Blind Spot Monitor with Rear Traffic Alert; Lane Departure Warning (Lane Assist), and Parking Steering Assistant (Park Assist) are offered on the SUV at an affordable price says VW. 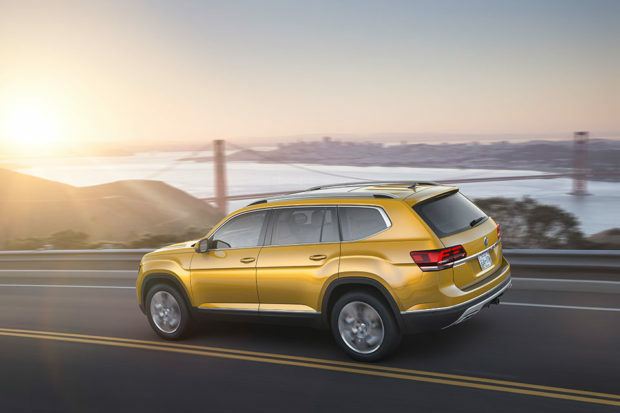 VW isn’t saying how much the SUV will cost just yet, but says that it will be priced to sell in the SUV market. The car will launch in the Spring of 2017 and pricing and fuel economy data will be offered closer to launch.